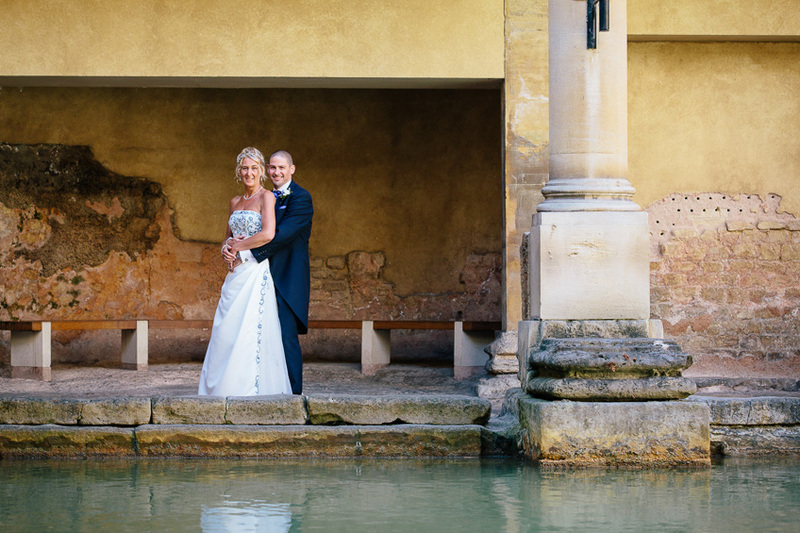 The Roman Baths are quite possibly one of the most romantic places I’ve ever photographed a wedding. 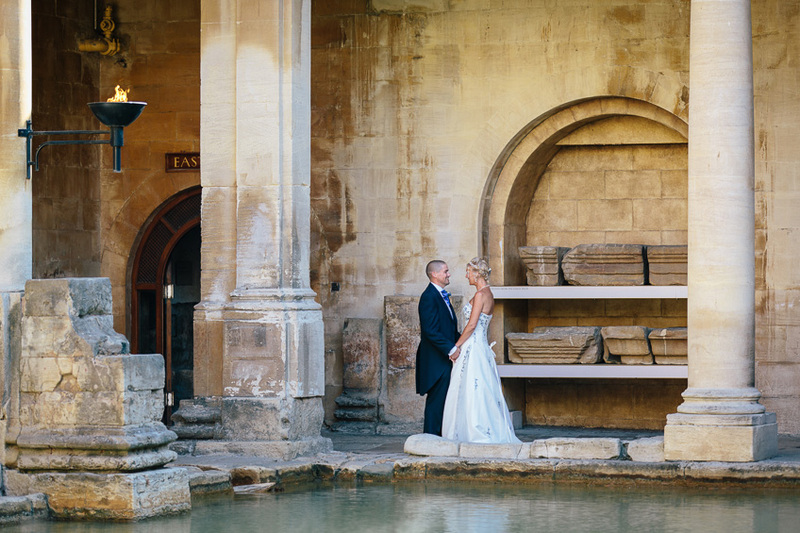 I’ve been lucky enough to photograph here before, and no matter the weather, the reflections from the pool and high stone walls always ensure that this place emanates a special quality of light. 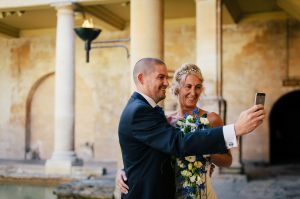 This time, I was fortunate enough to have been asked by Jason & Melanie to capture their sunrise wedding – and what a sunrise we had! 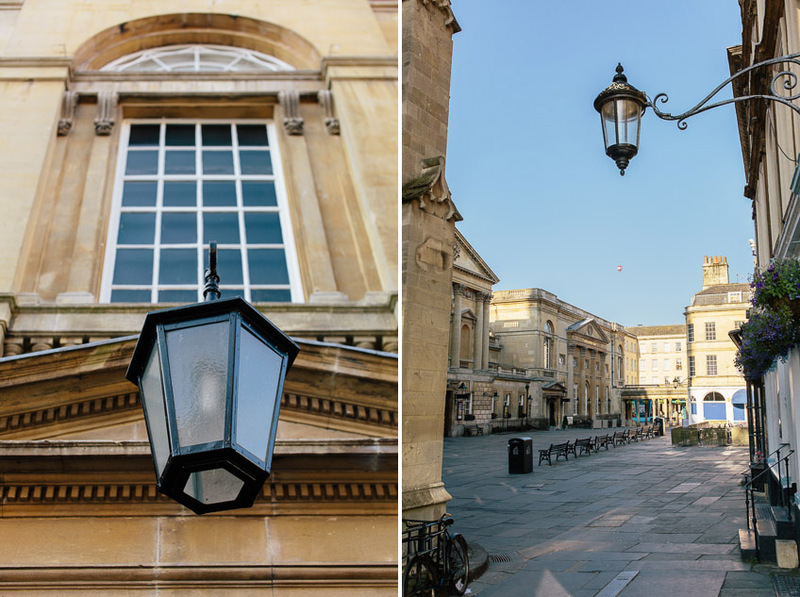 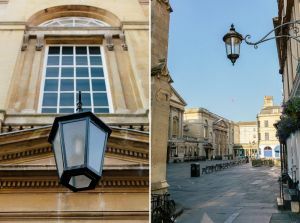 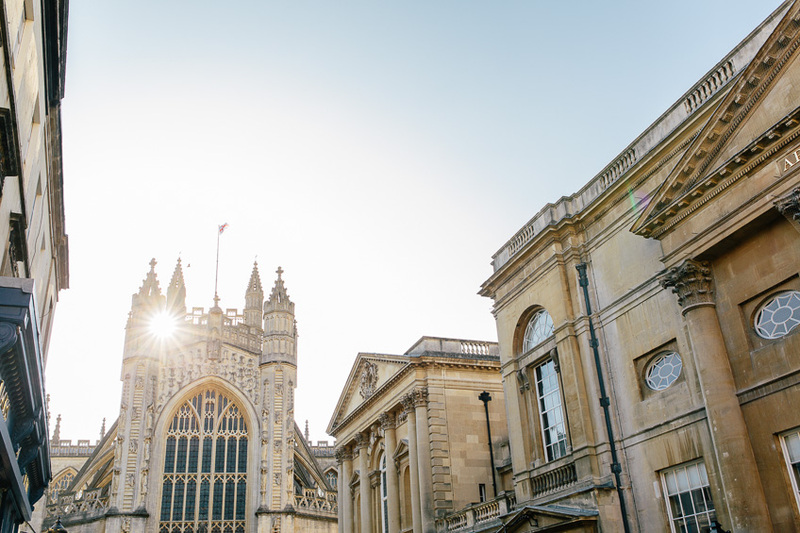 The empty streets of Bath were eerily beautiful so early in the morning, and the golden light only enhanced the magical feel of the venue when the guests began arriving at 8am. 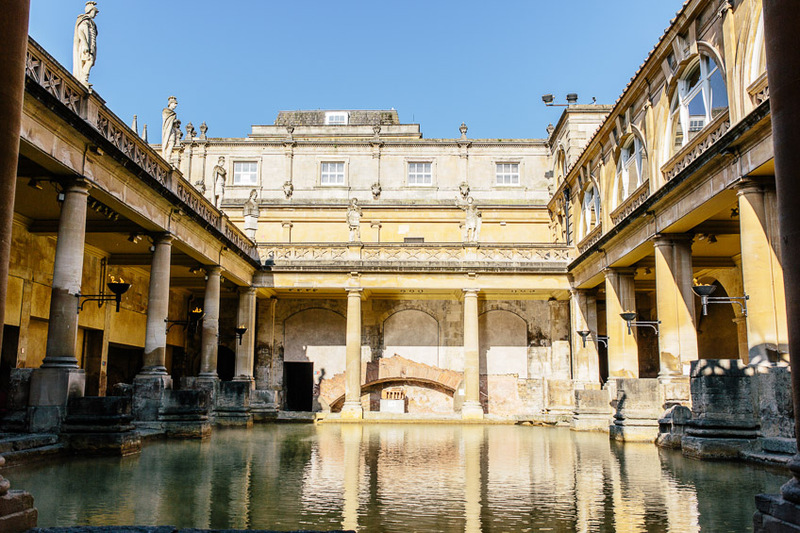 The Baths themselves are a very quiet and peaceful place before they open up to the public. 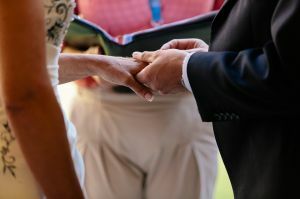 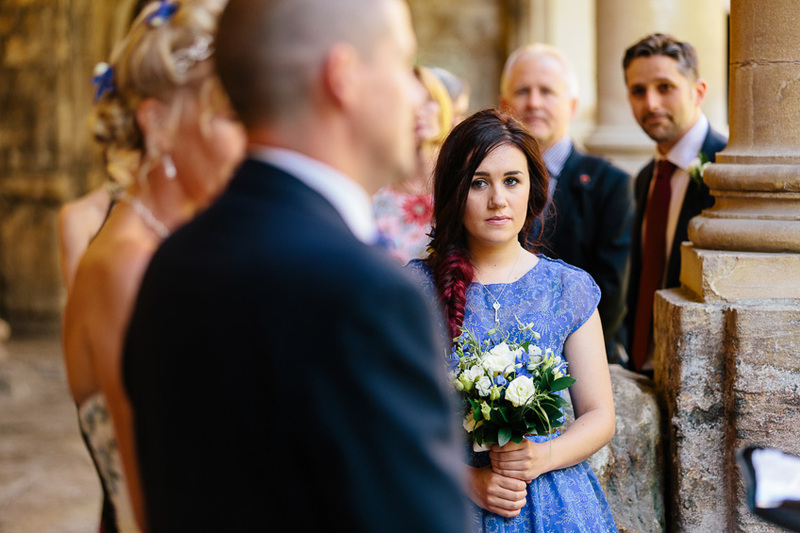 A very special and intimate ceremony ended with a hauntingly beautiful rendition of ‘Somewhere Over the Rainbow’ by Israel Kamakawiwo’Ole, sung by Melanie’s niece (if you haven’t heard it before you can take a listen here). 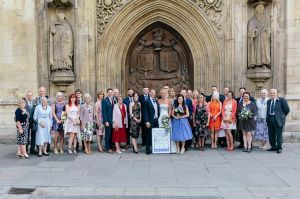 The wedding breakfast (a proper English fry up no less!) 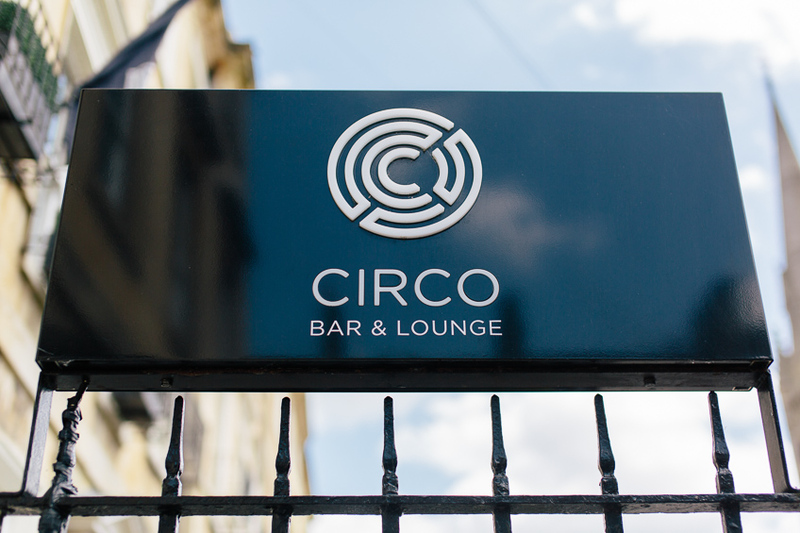 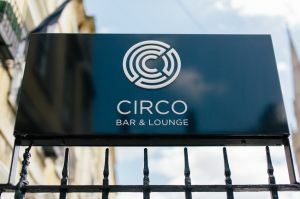 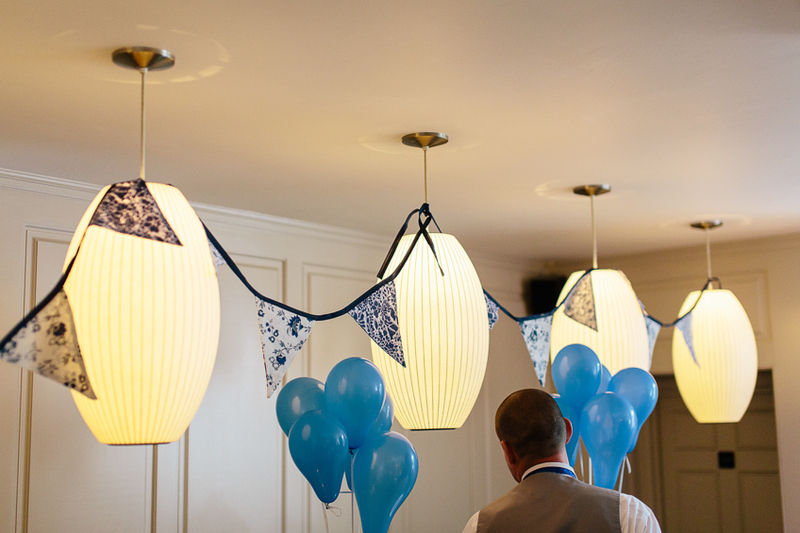 was held next door in the Grand Pump Room, before everyone made their way through the centre of Bath to spend the afternoon at Circo Bar. 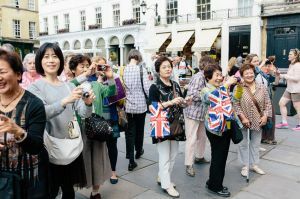 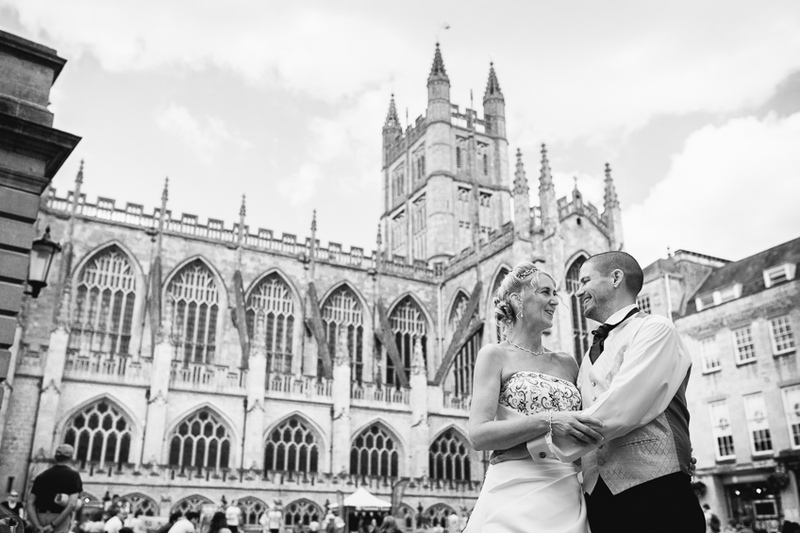 To top the day off we managed to get some lovely shots around Bath Abbey. 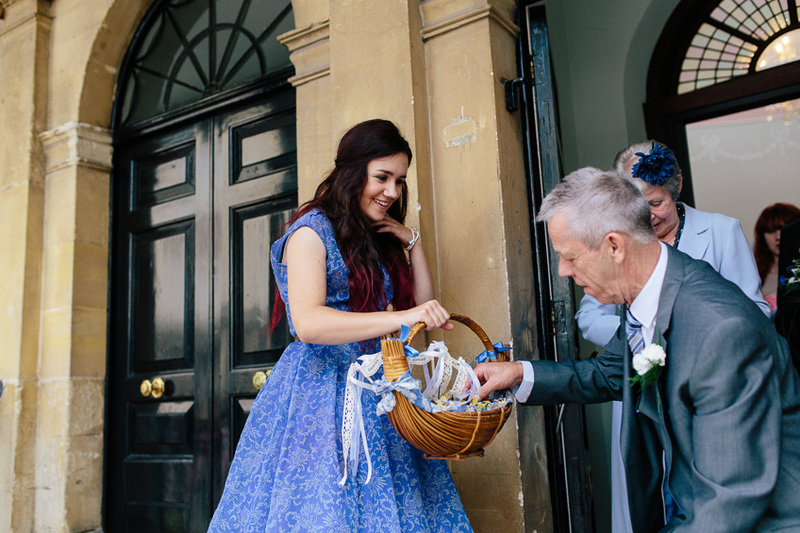 This was a very unique and memorable day that I felt very privileged to be part of. 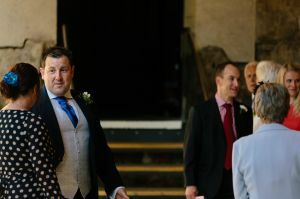 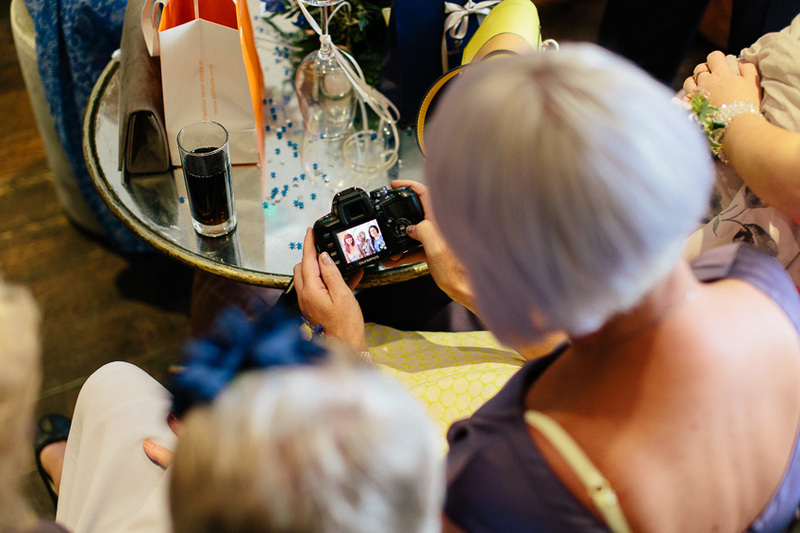 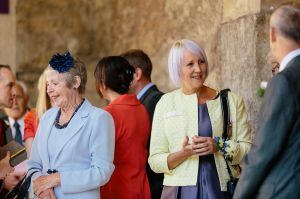 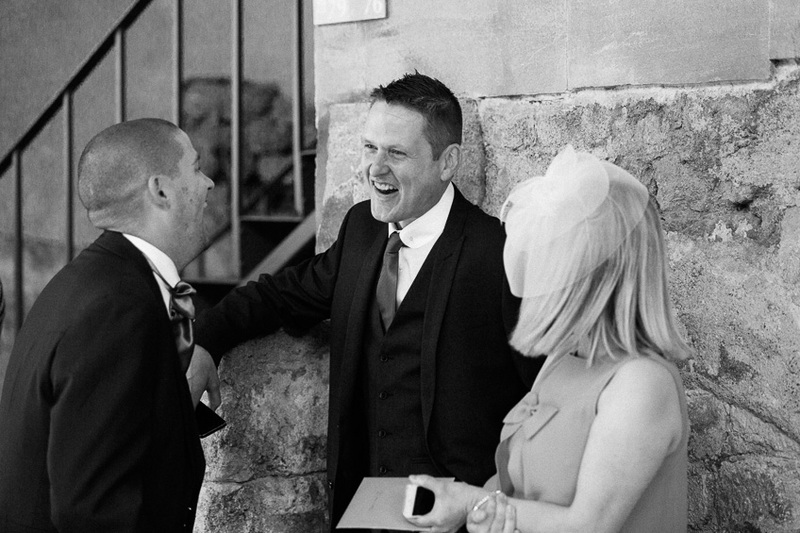 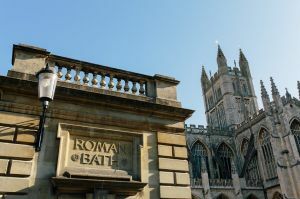 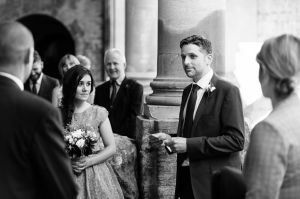 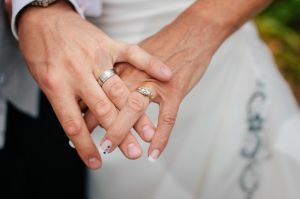 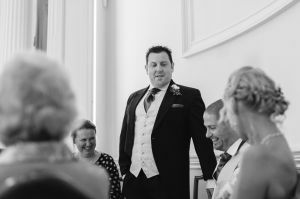 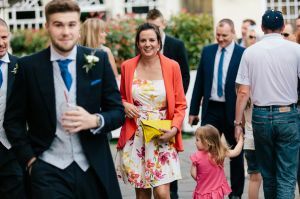 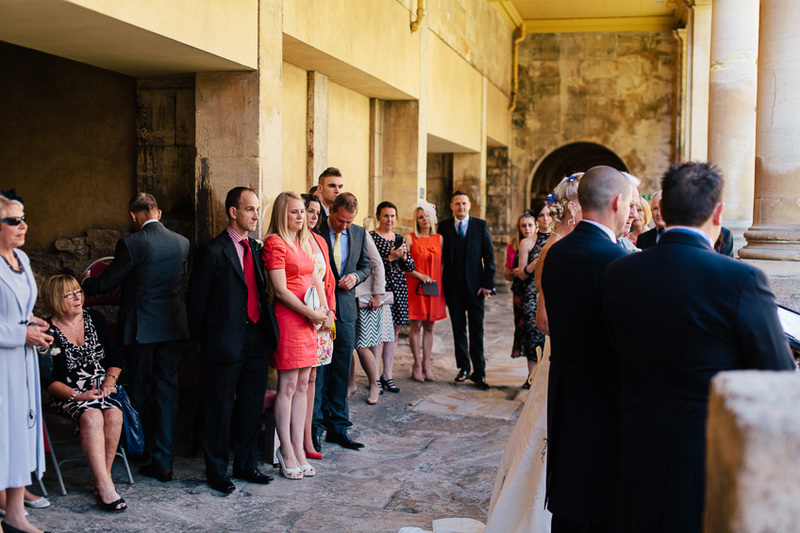 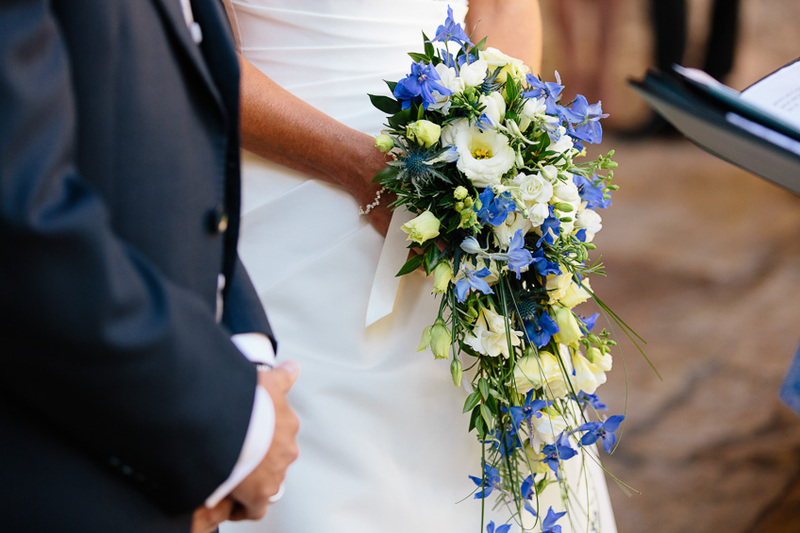 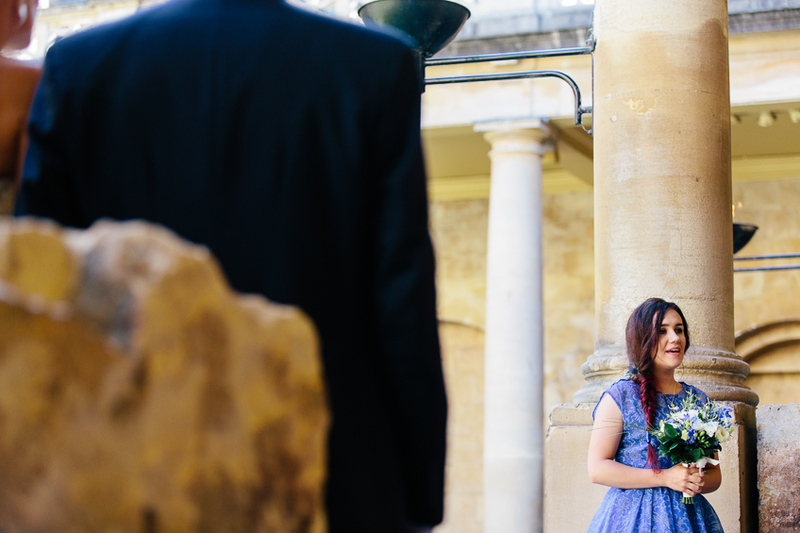 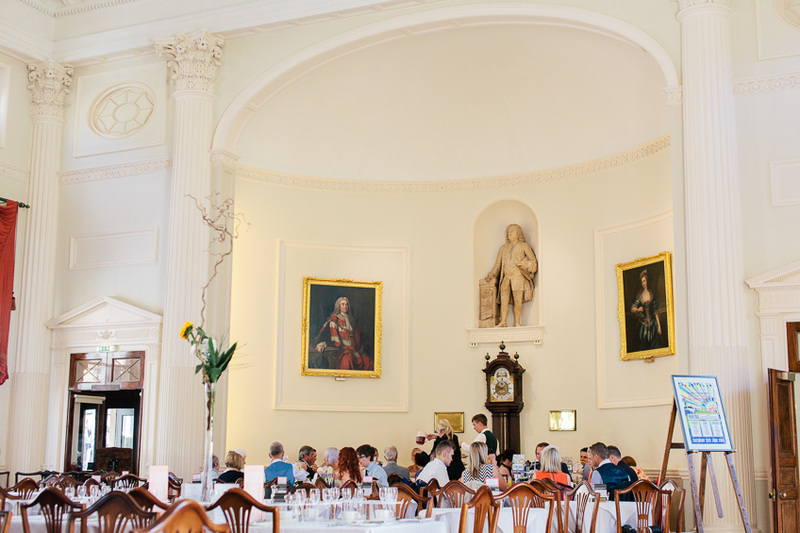 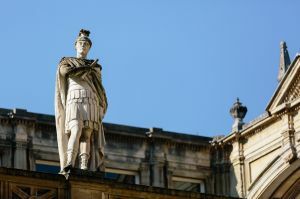 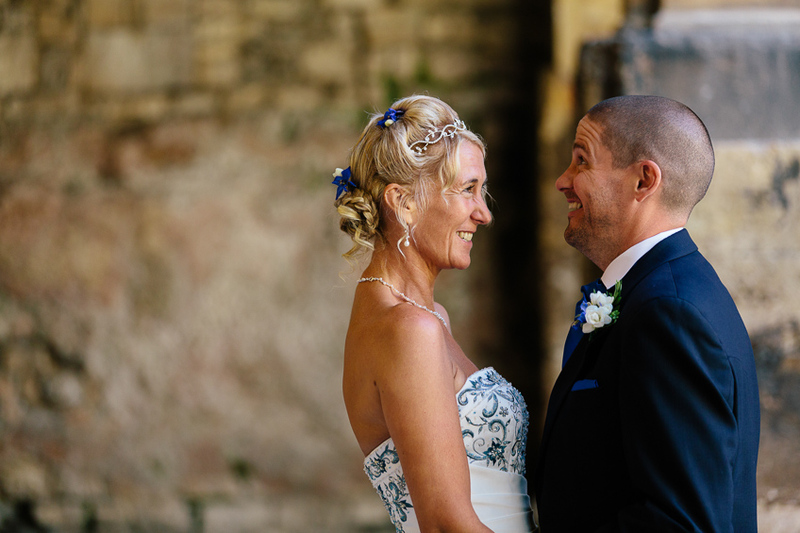 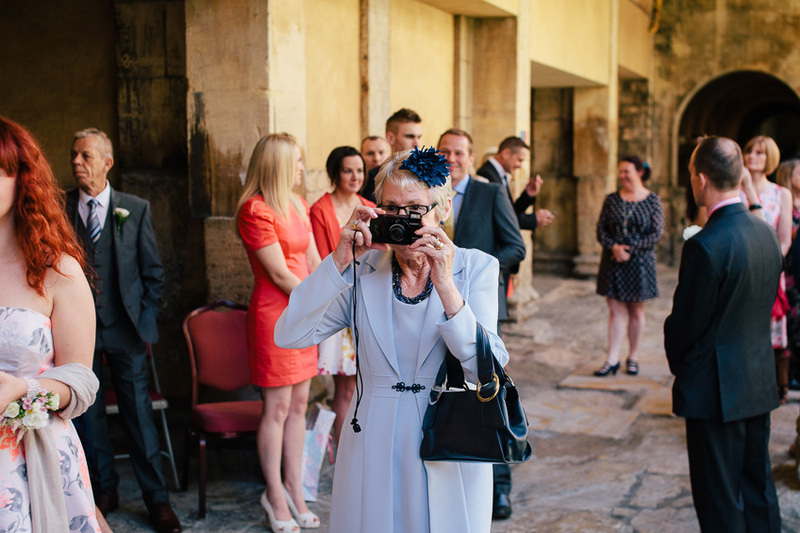 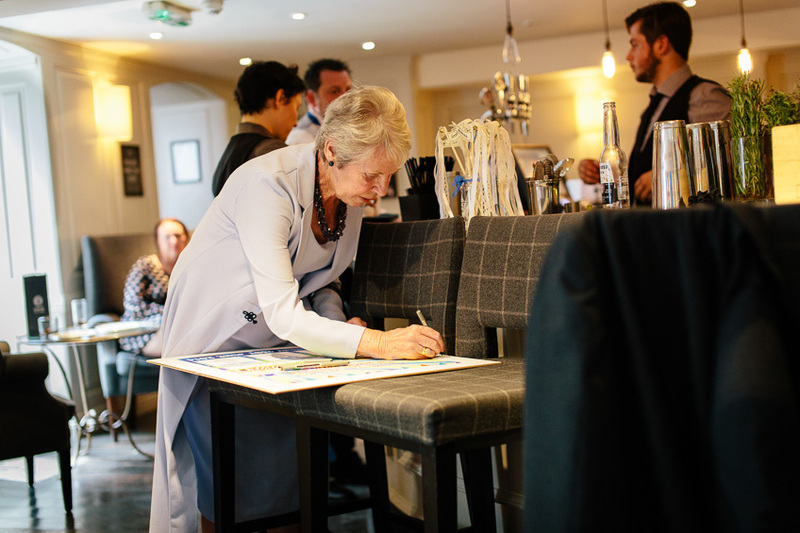 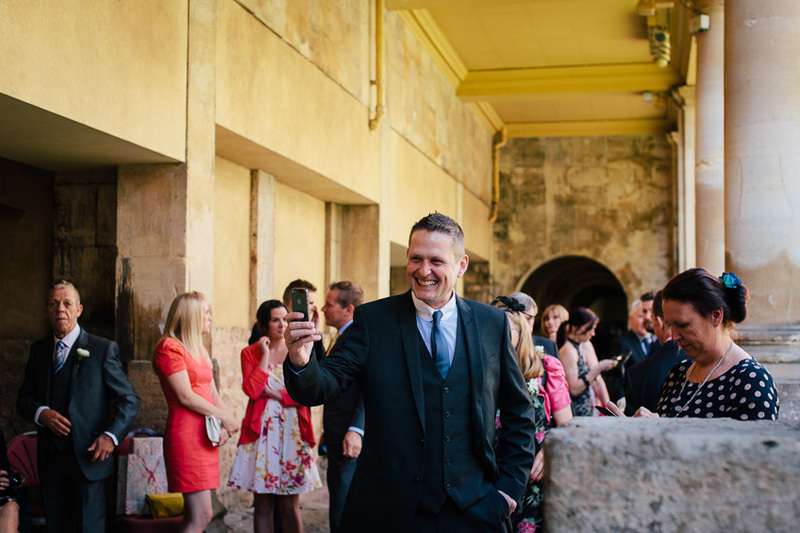 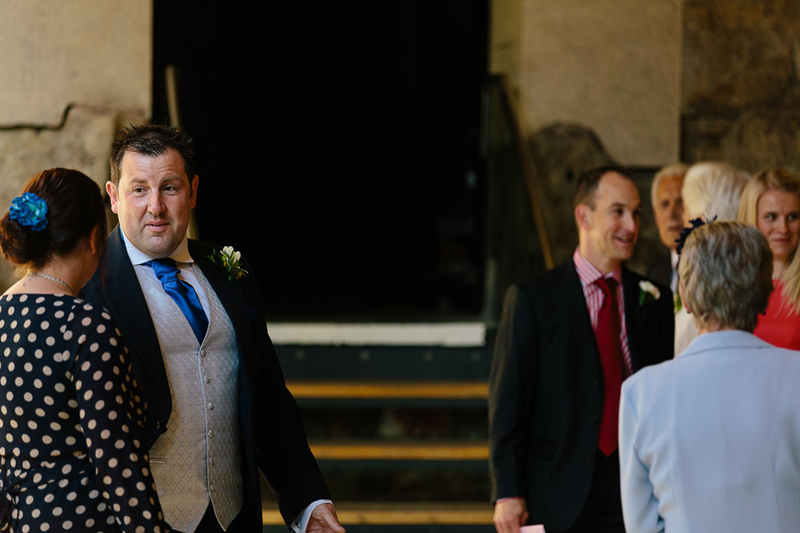 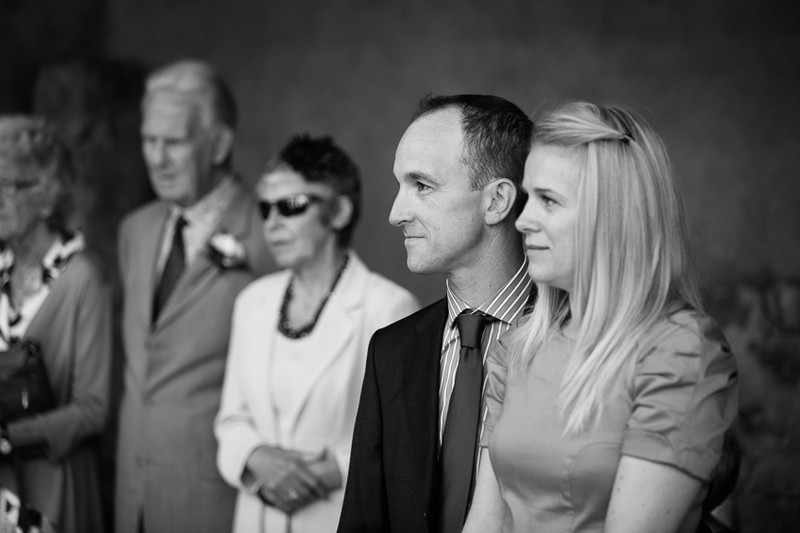 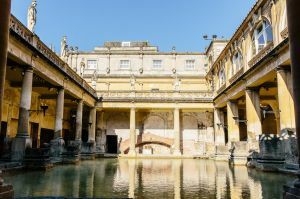 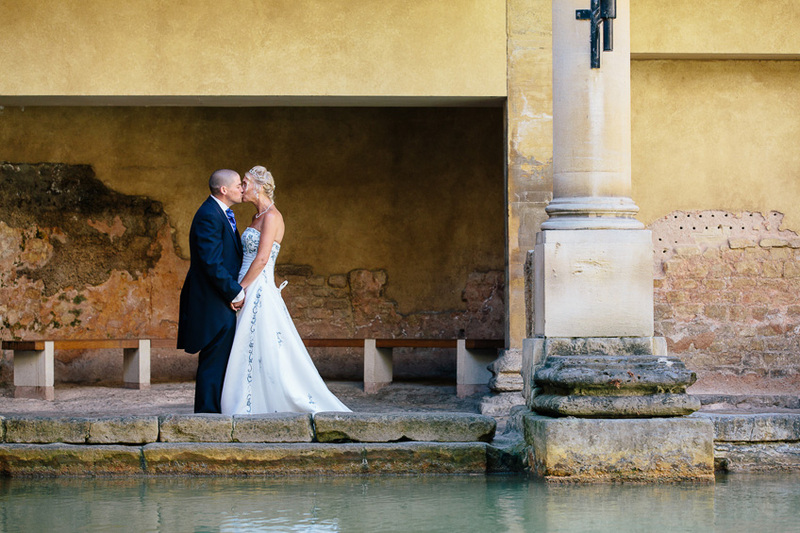 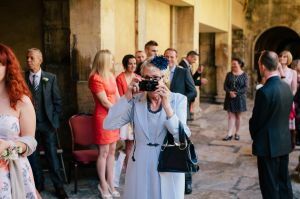 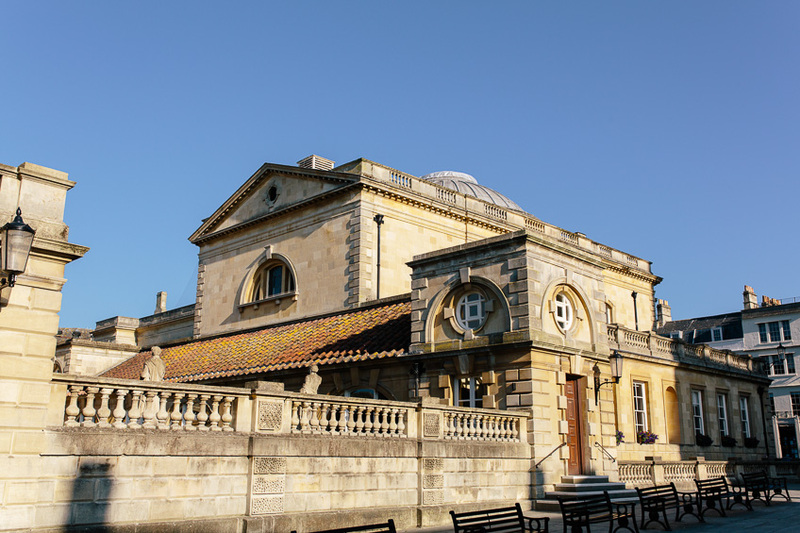 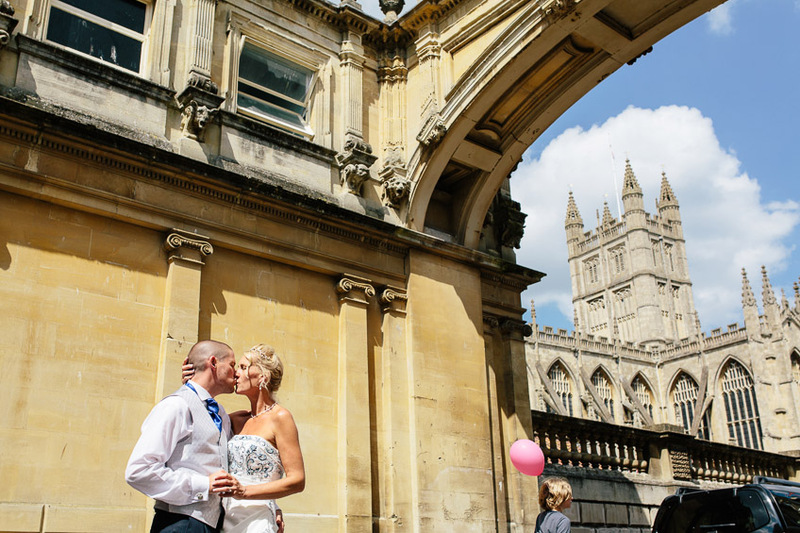 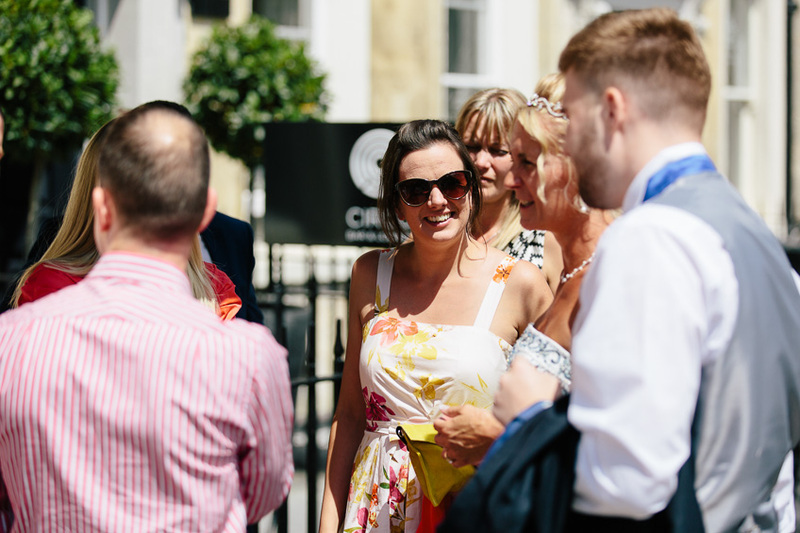 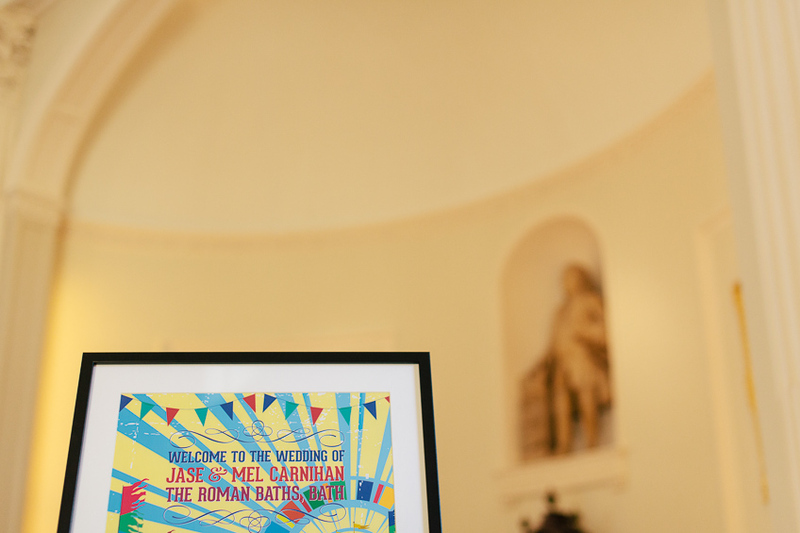 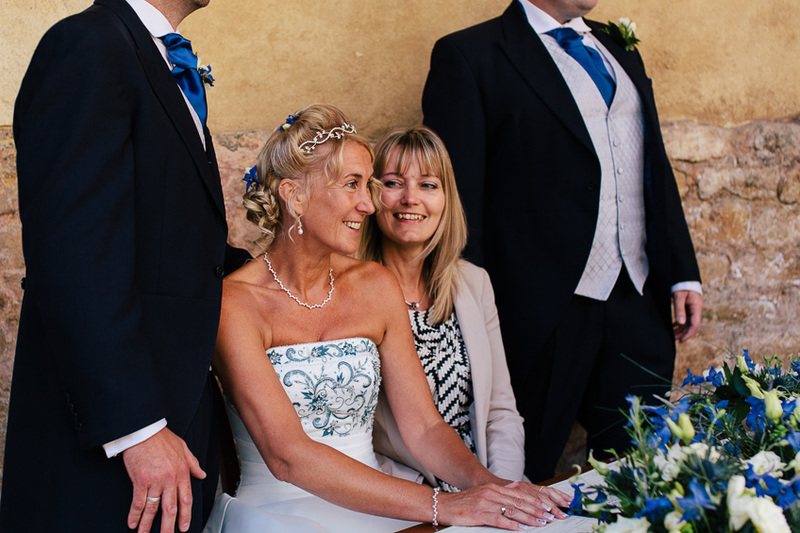 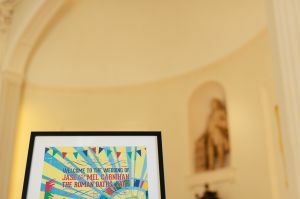 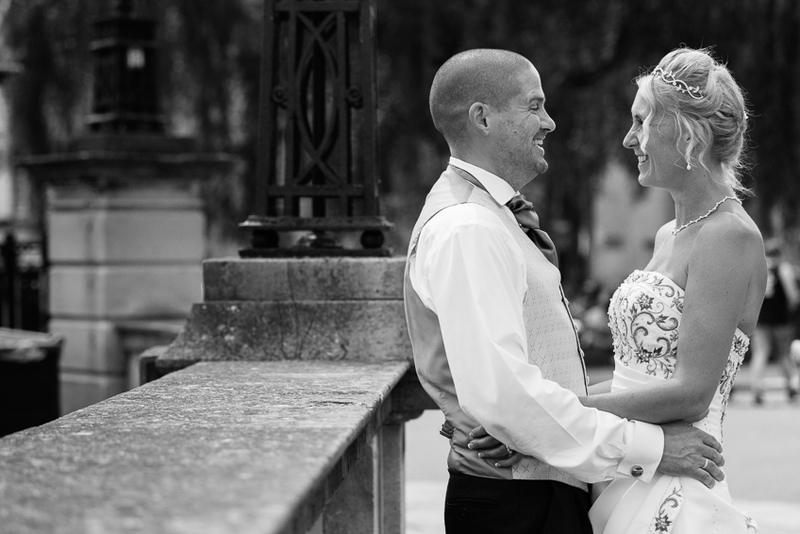 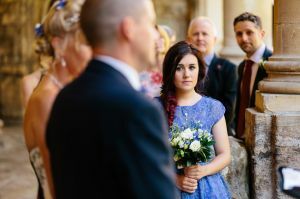 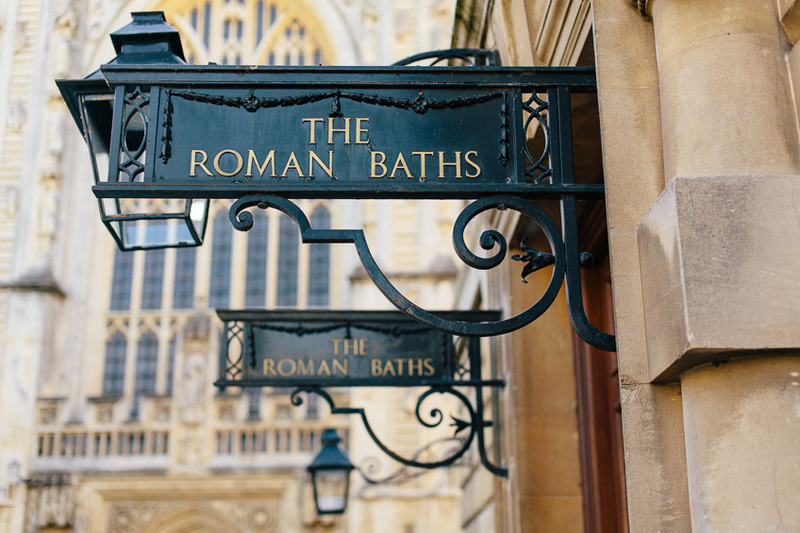 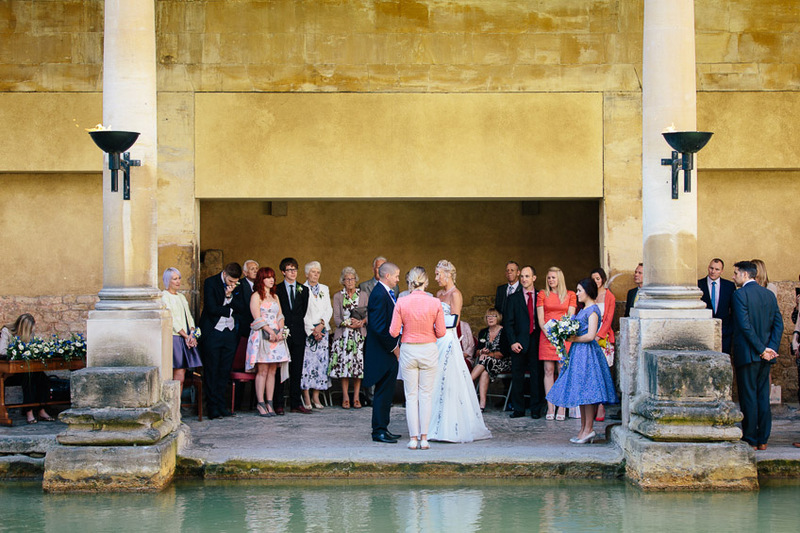 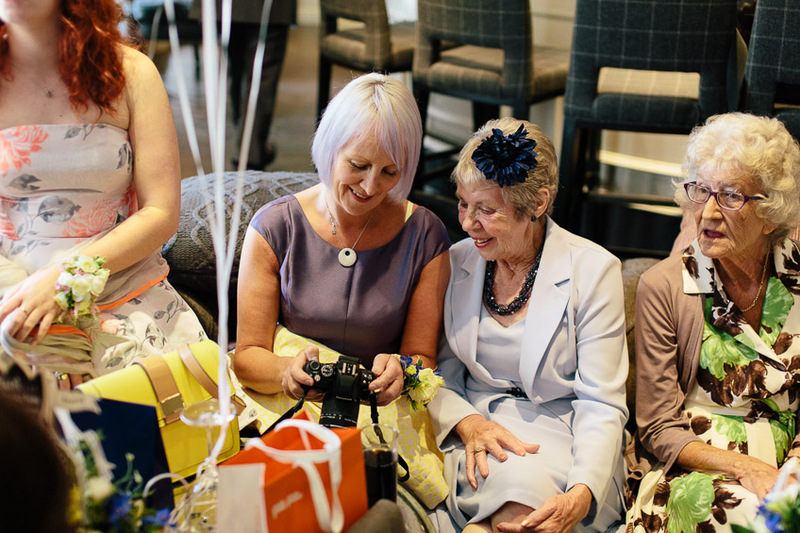 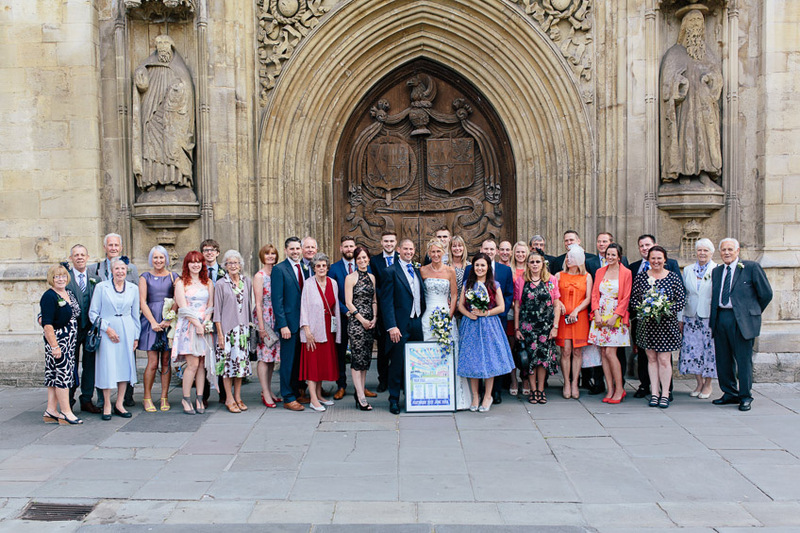 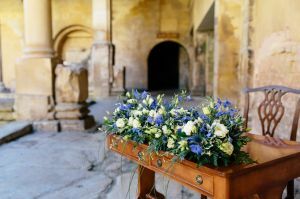 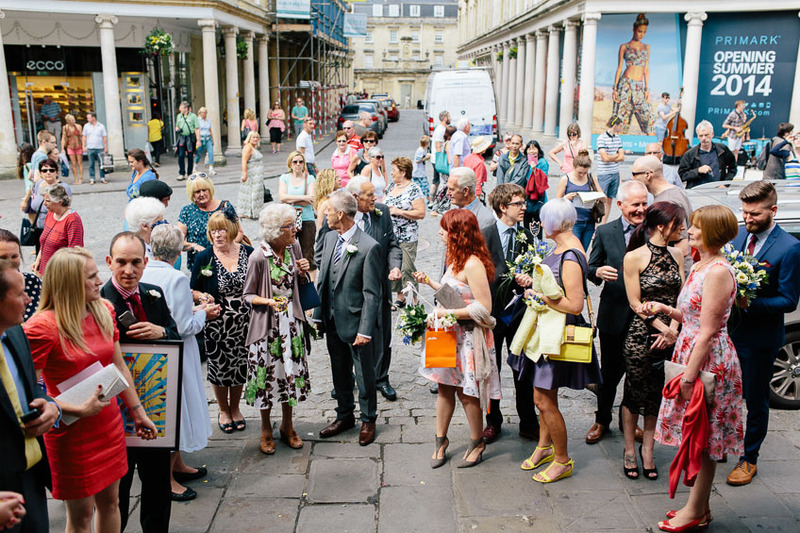 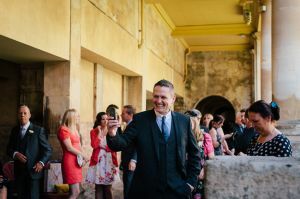 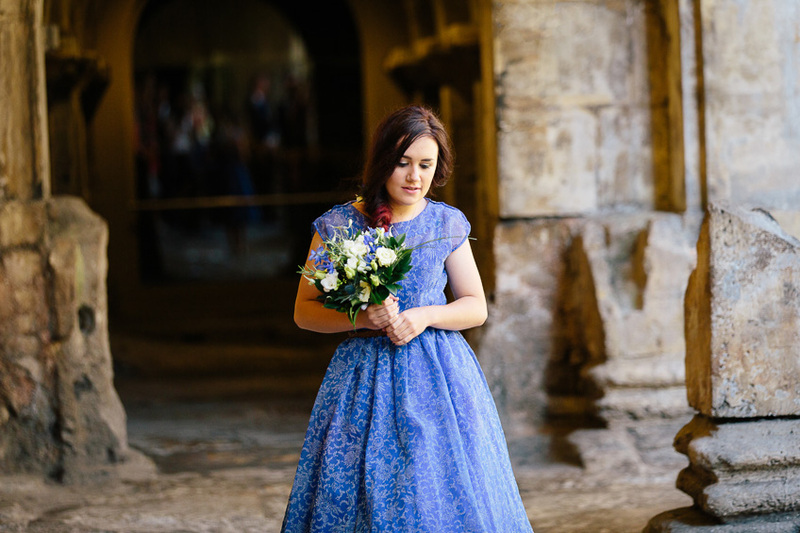 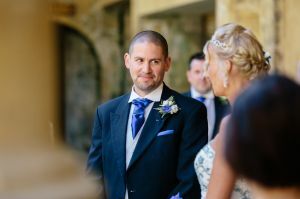 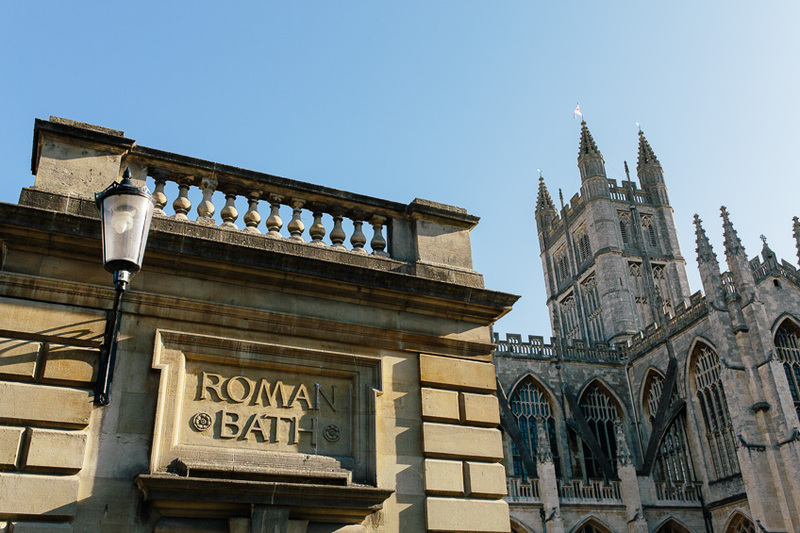 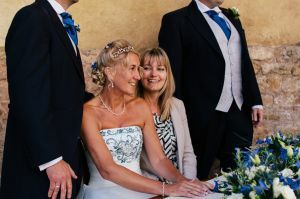 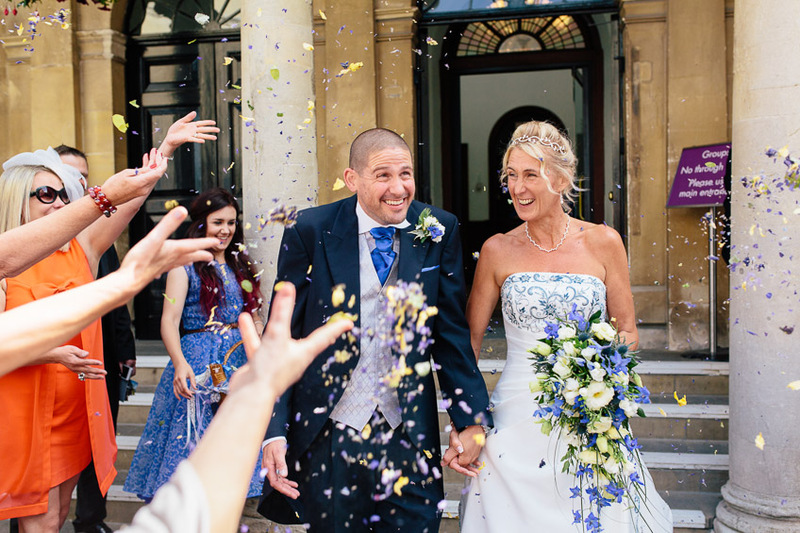 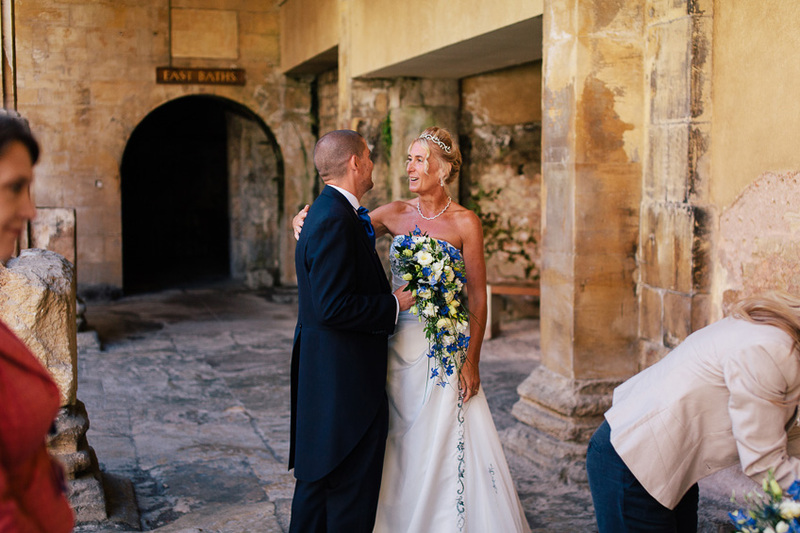 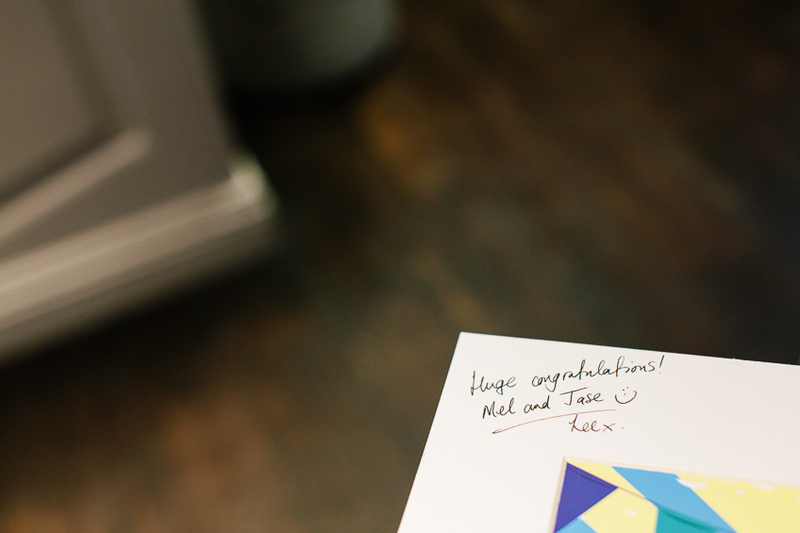 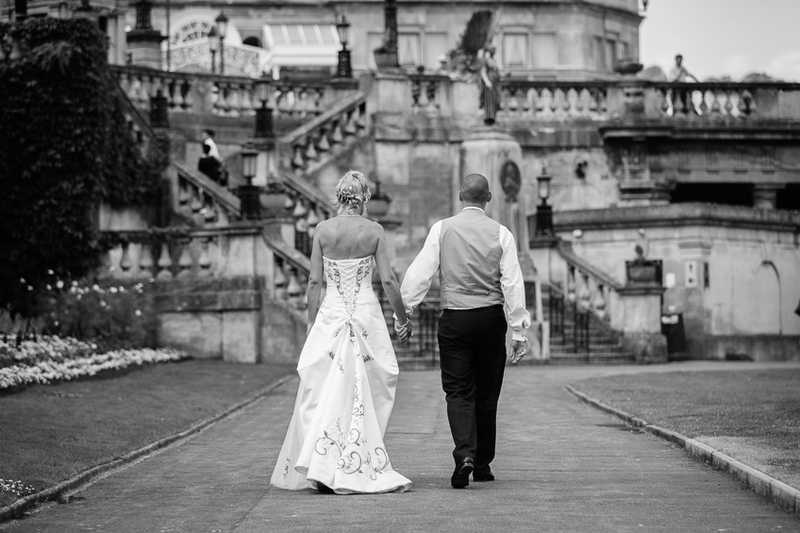 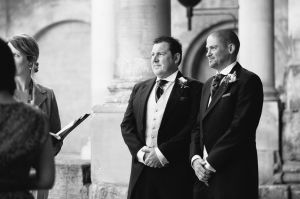 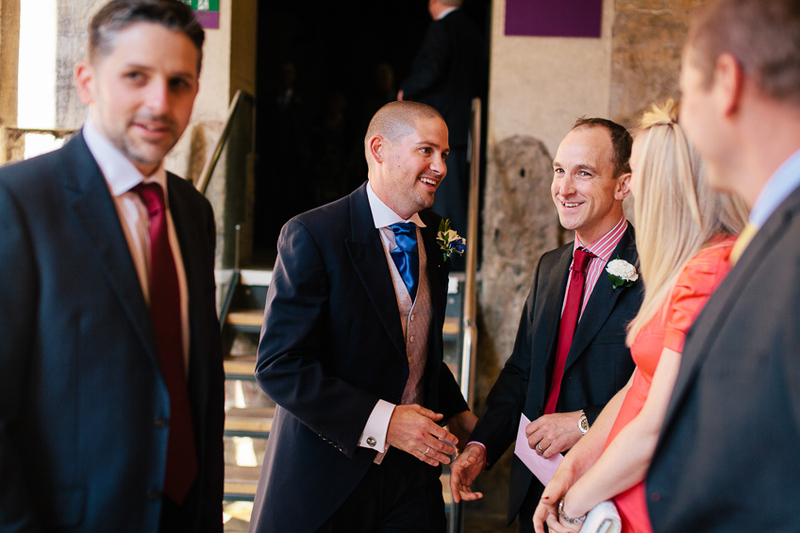 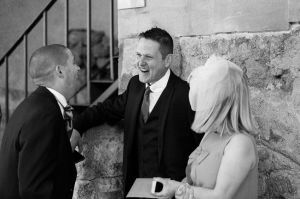 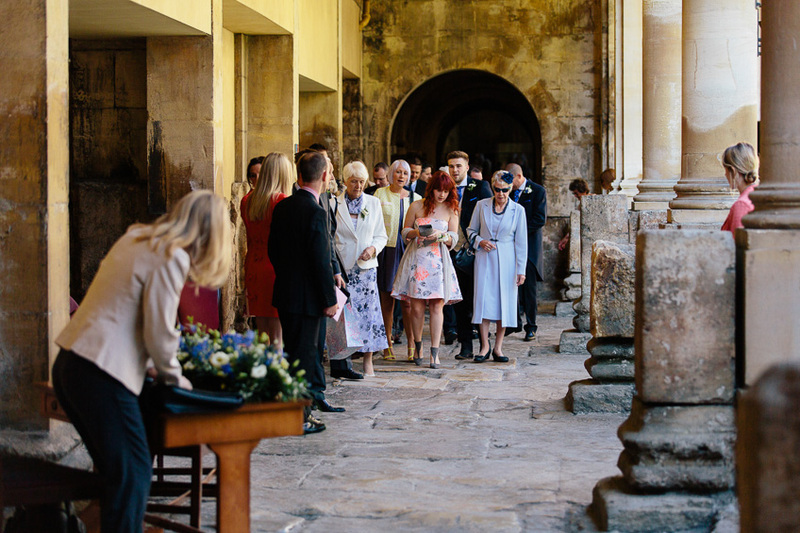 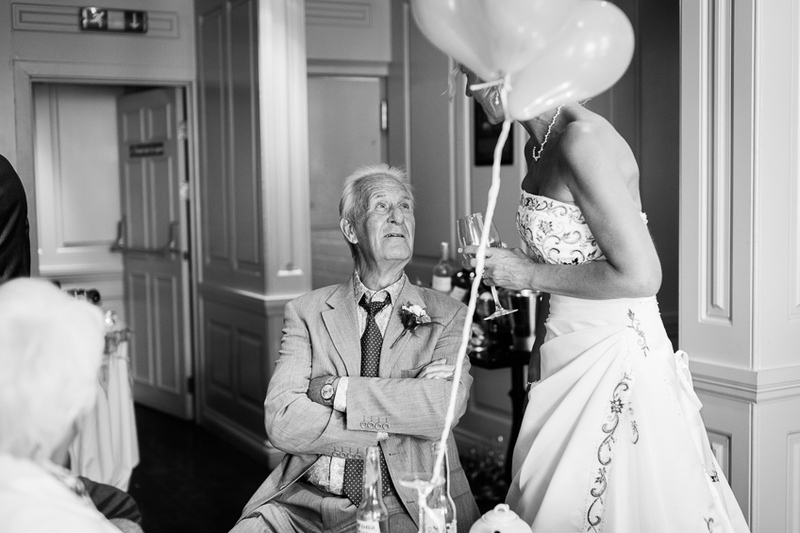 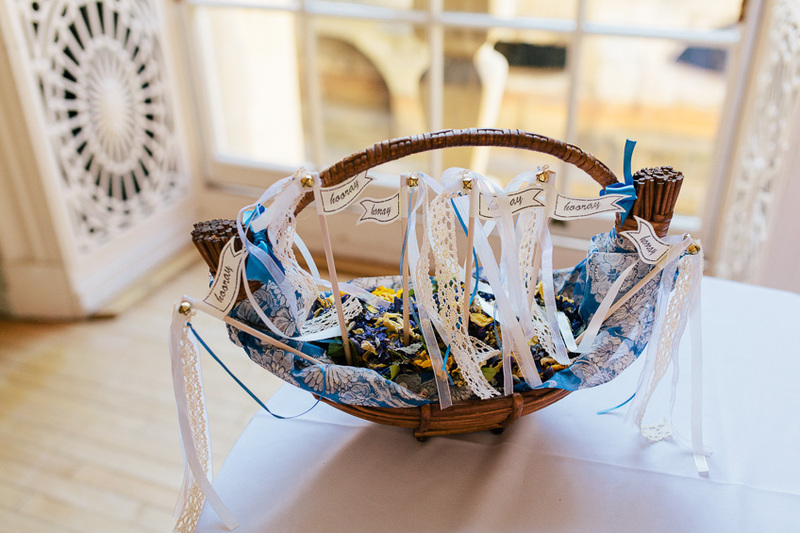 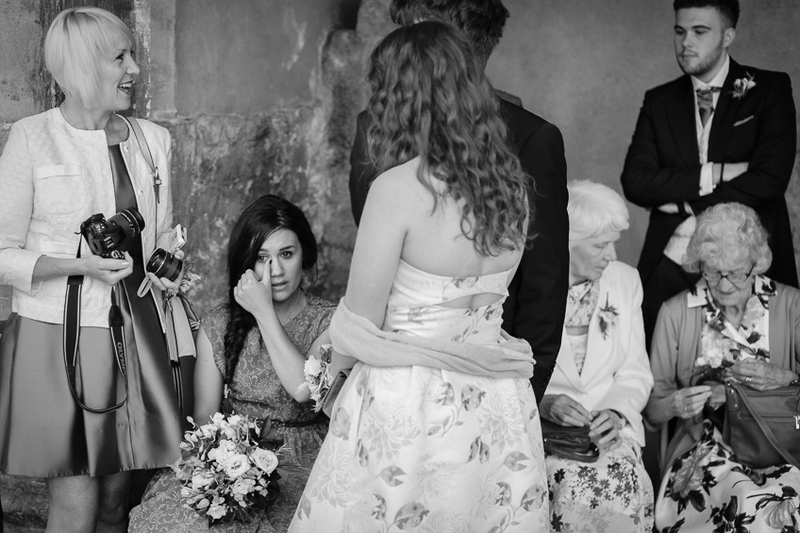 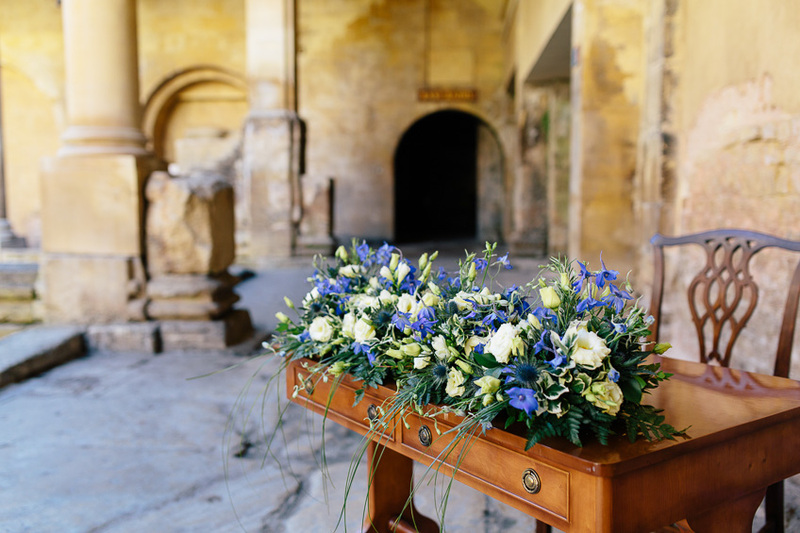 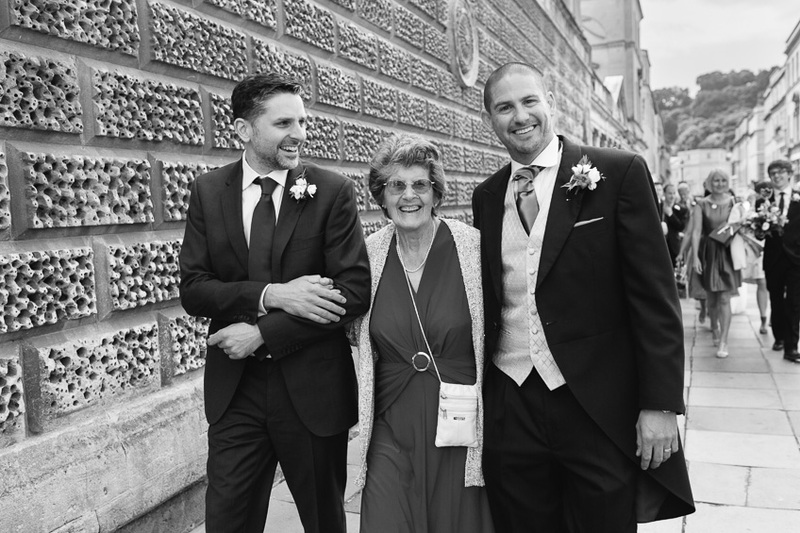 If you’re considering having a Roman Baths wedding I can thoroughly recommend it – it’s a stunning venue, and regardless of the time year, you can be sure of some great photos. 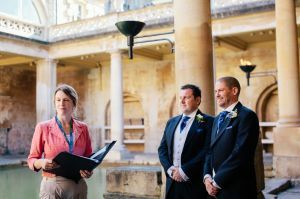 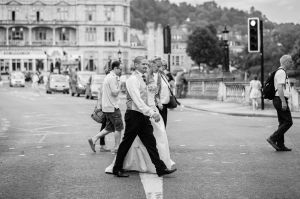 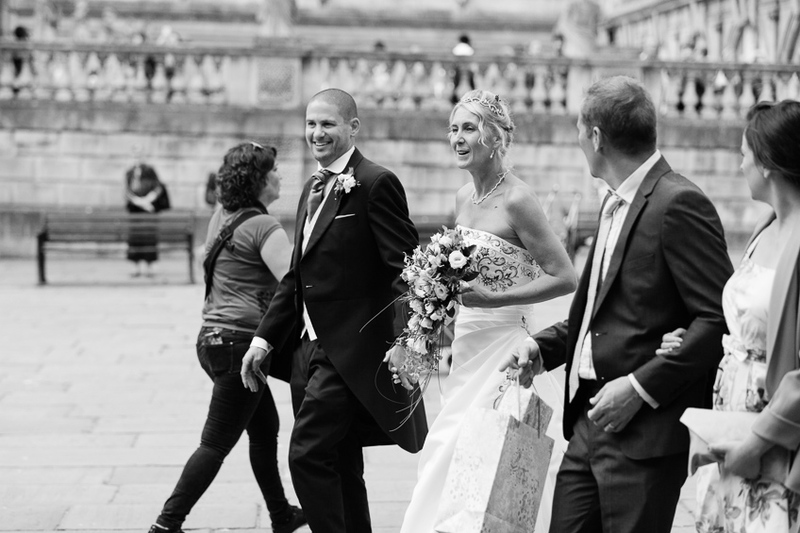 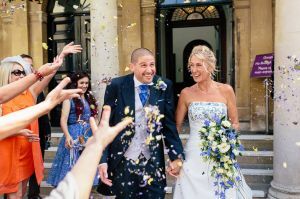 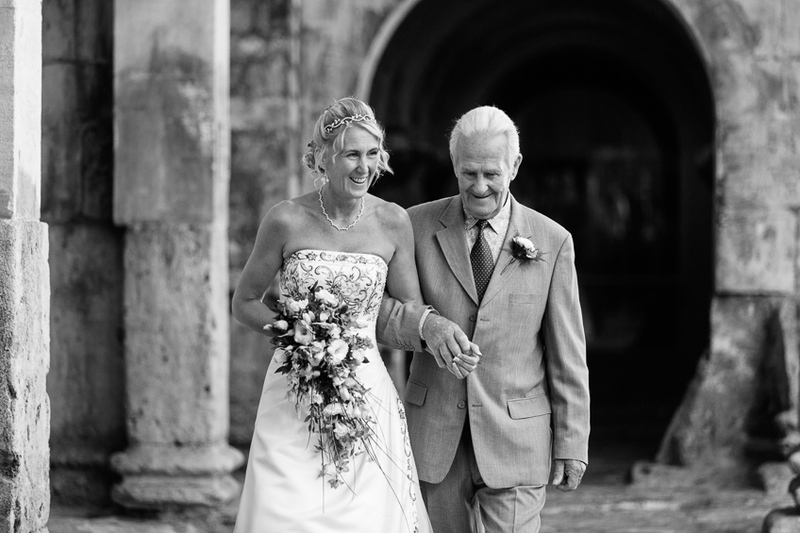 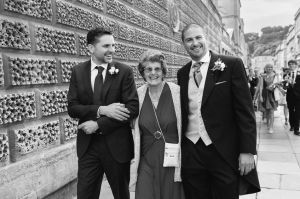 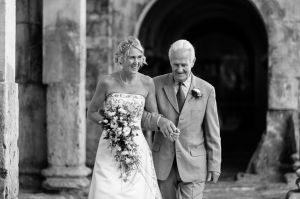 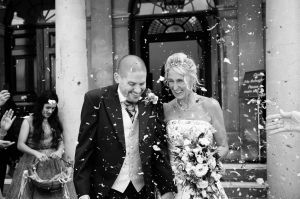 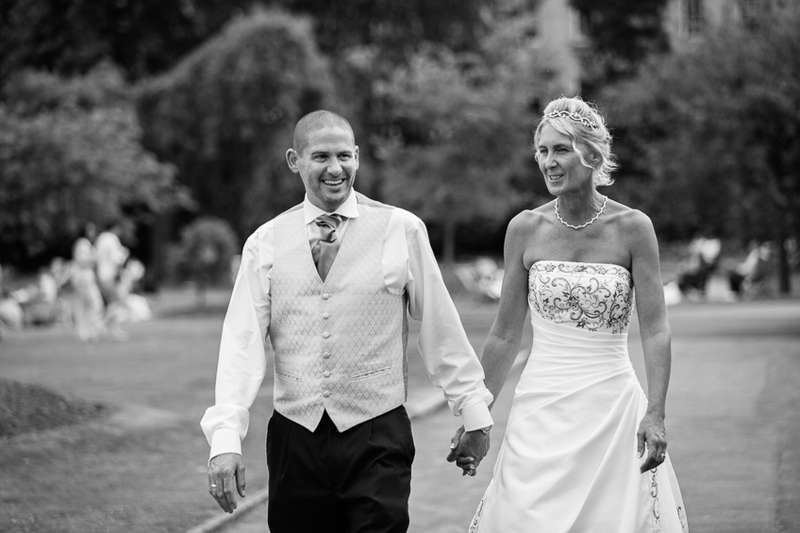 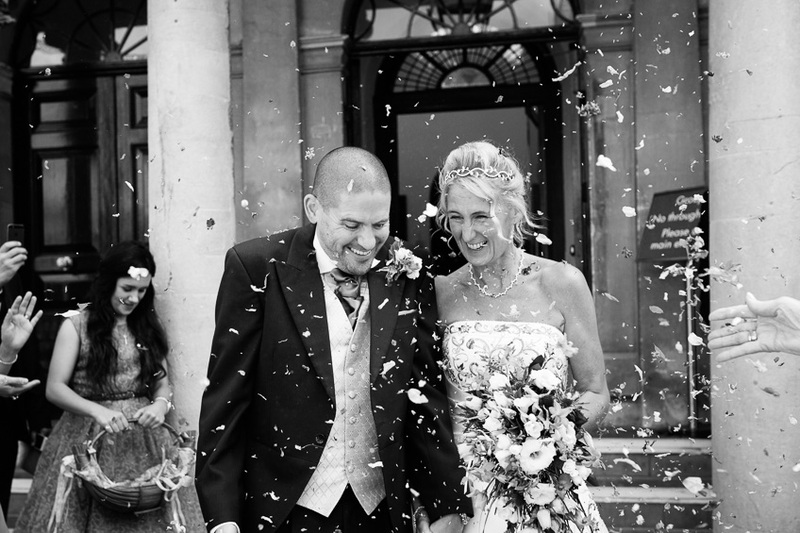 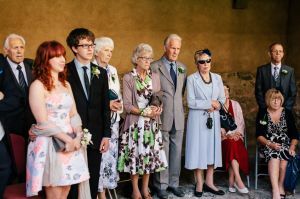 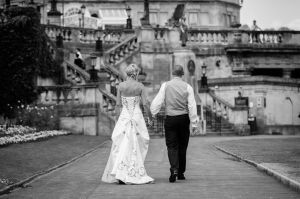 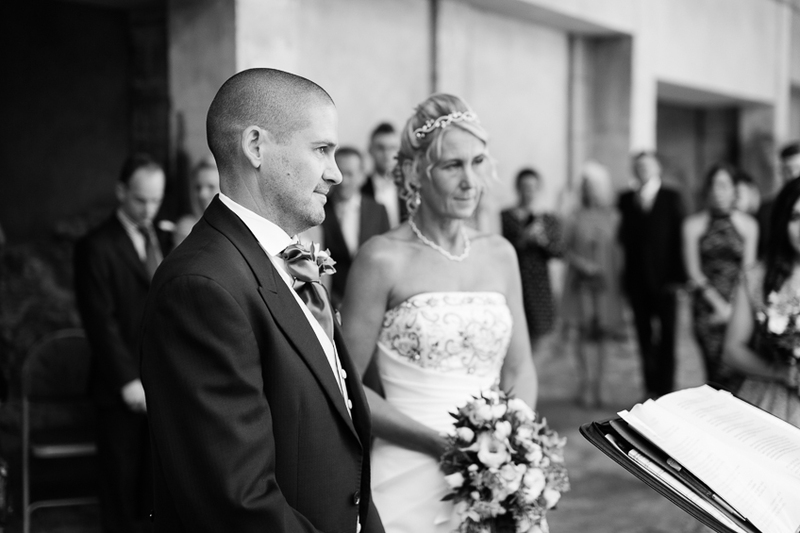 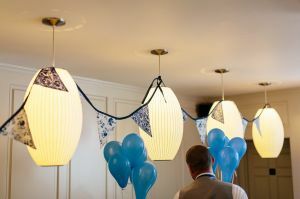 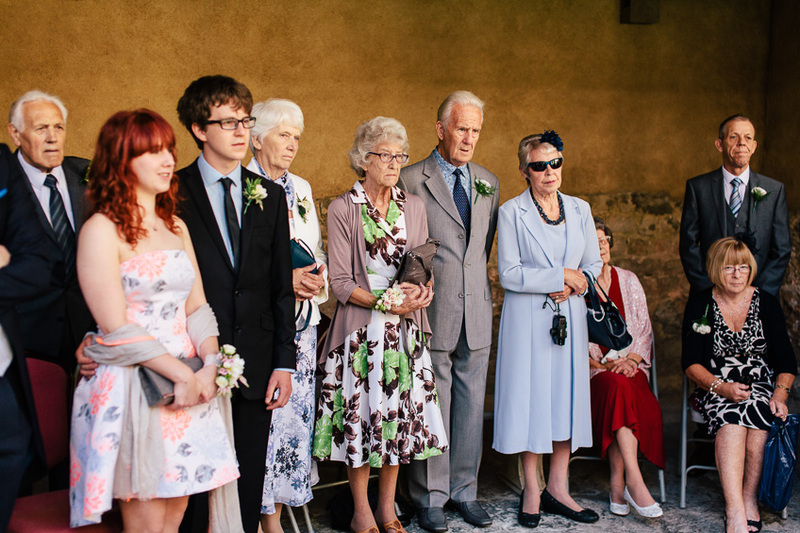 This entry was posted in Weddings and tagged Bath Wedding Photography, Bath Wedding Venues, Roman Baths Wedding Photography, Sunrise Wedding Photography.